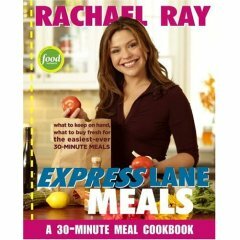 According to their website, ET will be following Rachael Ray around for a sort of "day in the life" of her promoting her new cookbook, Express Lane Meals. Here is a little description of the segment: "It's the day in the life of RACHAEL RAY! We take a look inside her new cookbook as we tag along for her exciting day in the Big Apple!"